I’m sitting here today with the lovely Molly Hill, the winemaker at Napa Valley’s Sequoia Grove Winery. Before we get started, let me mention how beautiful the Sequoia Grove Estate is. It’s aptly named for starters and any visitor to Napa Valley must relax in the grove of Sequoia trees behind the winery and marvel at the vineyards and the majesty that nature has wrought upon this amazing sun drenched parcel of land. Thanks John, I could not agree more! We’re thrilled that you visited and glad you had a great time. Let’s start with some background. Where did you get your start in winemaking and when were you convinced that wine making was your future? When did you become winemaker for Sequoia Grove? I was a Biology major at UC Davis, thinking I would head into veterinary medicine. After an internship where several animals were put to sleep on my first day and the increased awareness that it was harder to get into veterinary school than most medical schools, I started looking into other career options. I read “The Heartbreak Grape” by Marq De Villiers about Pinot Noir and fell in love with the challenge and passion that overflowed out of the book. I took a quarter off from UC Davis to work harvest at Beringer. This was before Fosters bought it, back when Ed Sbragia was the head winemaker, Aron Pott was the traveling winemaker, and Peter Heitz was in the lab. The (BIG) wines were so perfect to my young palate. I learned a lot about being part of a team and the skills needed to be a winemaker and leader by observing Ed and my fellow co-workers. Not only did I love my work experience, but I was fortunate enough to rent a room with Herb and Jennifer Lamb of Herb Lamb Vineyards (old college friends of my parents) and loved the charmed Napa Valley life that they shared with me. It was easy to fall in love with winemaking. I went back to UC Davis and graduated in Viticulture and Enology with a minor in Spanish. 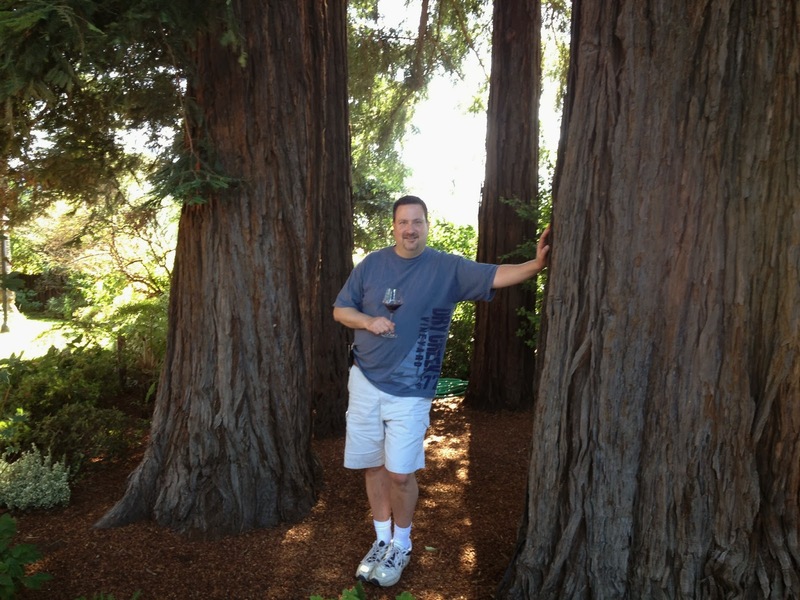 In 2008, I was promoted to winemaker at Sequoia Grove after working there since 2003. You’ve got some exciting names on your resume. One that stands out is Sea Smoke; the excellent, boutique Pinot Noir producer. I can’t imagine a grape more different than Cabernet. What did you learn from Pinot Noir that makes your job today easier? Funny question, because compared to great Pinot, Cabernet is relatively easy to make. But quality production is quality production no matter where you go. A Pinot Noir love has definitely helped when producing our Stagecoach Syrah, as the way we make Syrah is much similar to Pinot Noir than the other varietals due to the use of whole cluster fermentation and minimal extraction. I’m told that you studied under Carole Meredith at UC Davis. How significant was that? What did you take away from her knowledge? Carole is an amazing Syrah producer! illness from travel to Mexico while enrolled in her class. Mike Trujillo hired you initially. You now have the complete wine making reins, so to speak. How do you interact with Mike now? What sort of things do you and Mike discuss? When I visited the winery in May, I was surprised when we were poured Cabernet from vineyard after vineyard. I had no idea you made so many different Cabernets. Which vineyard is your favorite? 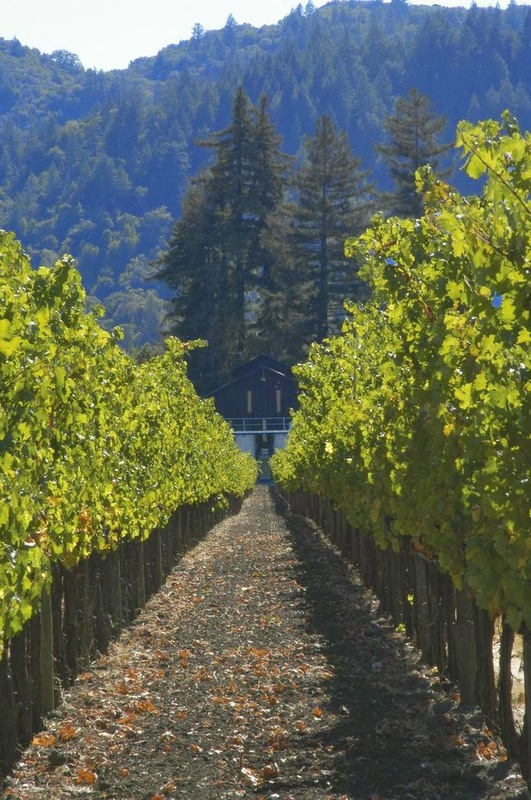 I am very lucky at Sequoia Grove in that I get to work with some amazing vineyards such as Lamoreaux, Morisoli, Frediani, Stagecoach, Beckstoffer George III, and best of all our estate vineyards in Rutherford at Sequoia Grove and Tonella. Mother nature always throws her twists and turns into every vineyard which makes every vineyard have its own challenges every year. Our estate fruit is truly incredible and that would have to be my favorite. We only produce vineyard designates in stellar years for these vineyards which gives our growers something to strive for every year. Let’s restrict the discussion for a second to the following vineyards: Healy, Morisoli, and Stagecoach. What characteristics make these vineyards distinct from each other and how do you attempt to accentuate them in your wines? For example – is Healy more elegant/feminine and Stagecoach more powerful? Is it the soils, (clay vs. sand) or something else? With every lot that comes into the winery, my job as a winemaker is to pull out the very best that the vineyard has to offer. Michelangelo said it was easy to create the statue David. He just removed all the stone that wasn’t David. My job is to realize the wines and vineyards potential through the winemaking process. From grapes, fermentation, barrel aging, and blending….to see the beautiful statue in the hunk of marble. Every year is different but in general, Stagecoach fruit tends to be more sweet blackberry with softer tannins. Healy has nice berry notes with hints of chocolate and great balance. Morisoli is fuller, more black and dense, with heavier tannins. 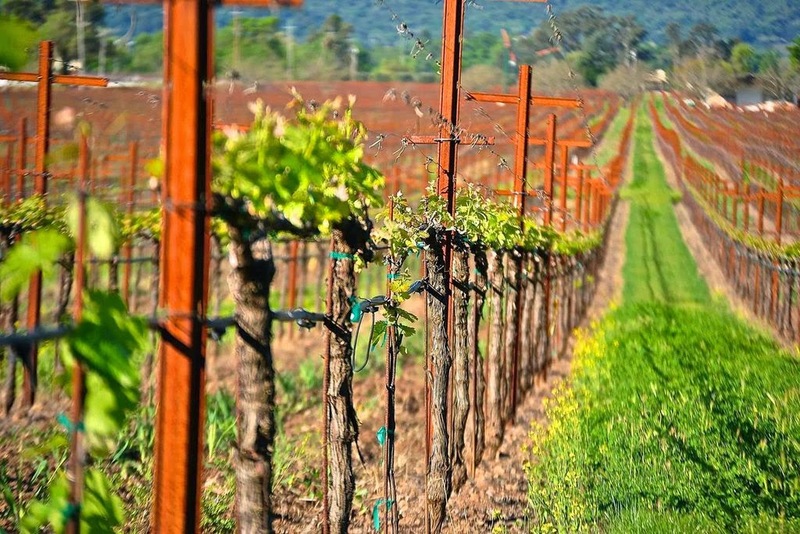 We tend to choose these sites year after year as vineyard designates because year after year, their quality rises to the top andtheir site expressions and flavors are unique. In order for the vineyards to express themselves uniquely, do you treat each of them the same in the cellar in terms of fermentation, length of aging, types of barrels for aging, etc? It is very important for us that a vineyard designate wine have its own unique and enjoyable personality that comes from the vineyard. No block is treated exactly the same, but we use a very simple fermentation process to pull out the essence of the vineyard. We also tend to choose barrels as a vehicle to evolve the wine, rather than as a flavor profile, so that the character of the wine is not masked by oak flavors. Balance is always a key word and it’s something I look for in wines I enjoy drinking. I think Sequoia Grove wines embody that. Recently there has been lots of debate about overripe wines coming from Napa, and how they’re difficult to pair with food. They’ve become almost “cocktails”. How do you view this debate? How do you approach this at Sequoia Grove? Thank you! I’m very proud that Sequoia Grove has never wavered from the very beginning of their goal of making balanced wines that pair well with food. What balance means to me is: the wine tastes of the grape that it comes from (cab tastes like cab, merlot like merlot, etc), the alcohol is in check, the oak is in check, acid and tannin are present and in check. There are no elbows that stick out. One sip of those cocktail wines is enjoyable, but a glass is hard to drink. I think the fad is already shifting in the other direction because people are getting tired of those wines and those producers have had challenges making those style wines in the most recent vintages. Luckily, Sequoia Grove doesn’t have to shift with the winds. What sort of stylistic trademark do you think is evident in your wines? What’s you’re signature? There has to be balance above all. Balance is the best compliment to me. Balanced ANDdelicious. Winemakers always tell me that great wines are made in the vineyards. Without great grapes, you can’t make great wine. Do you agree? 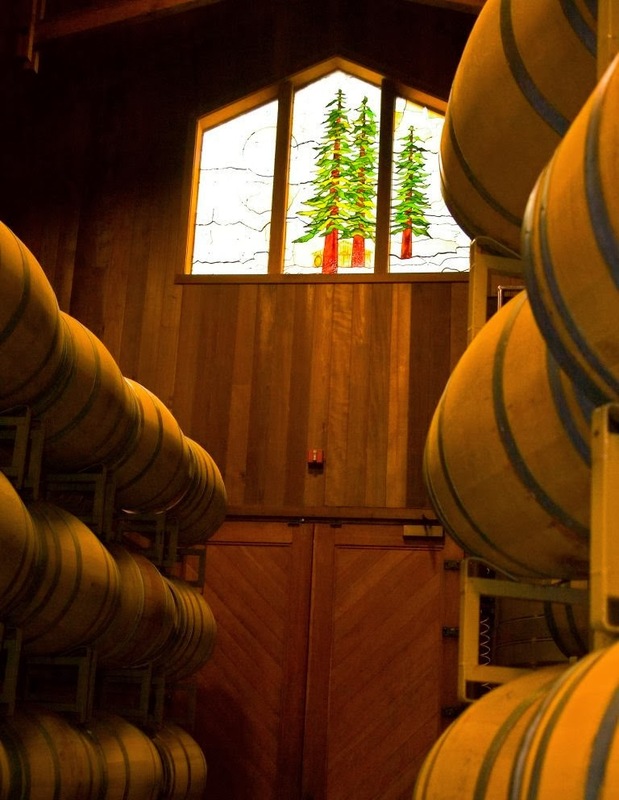 Should a winemaker be a custodian of nature or can he/she be an interventionist in the cellar? Of course. It’s the same as a chef saying great food is made at the farm. I bristle a bit at the question because there is a group of thought that holds up winemakers that say they use “minimal intervention” as superior to winemakers that may use other tools at their disposal. I don’t think being an “interventionist” excludes one from being a custodian of nature. As soon as one puts grapes into a bin and brings them into a winery, that is interventionist, but someone has made a value judgment that that intervention is okay, while others are not. Many of the wines I taste that are “non-interventionist” are clumsy and awkward. Some are amazing. My job is to do everything I can to deliver an amazing wine every time. A great winemaker is like a great chef. Both need to start with amazing raw ingredients. Both coax out the best flavor possible from those raw ingredients. Some amazing chefs use lots of new cooking techniques and others use more simple skills. El Bulli vs. Chez Pannise for example. Both restaurants are great. Just because I argue for a bit of intervention, doesn’t mean we actually do very much at all to our grapes or our wines. We lean more toward the Chez Pannise mentality. Like I said before, we are very lucky to bring in some amazing fruit so we don’t have to do much. But we at Sequoia Grove owe it to our customers to deliver a great, delicious product, consistently. Sometimes that requires a bit of intervention. Is one of the tools you refer to Reverse Osmosis? Do you employ that at Sequoia Grove? We do not use Reverse Osmosis. From my perspective, this is a rather harsh method that heats part of the wine to remove alcohol. We have removed alcohol via spinning cone when needed. The processed wine is actually amazing. Alcohol has a masking effect to a lot of the flavors found in wine and when it is removed gently, those flavors balloon. Again, we view this technology as a tool to be used occasionally to bring out the most flavors from already amazing grapes. When I was at the winery, I tasted and loved the 2007 Healy Vineyard Cabernet. I’m curious if this wine was put through a spinning cone. I certainly couldn’t tell. Do you think the distinction is noticeable? None of ALL of one wine is ever put through spinning cone. It is usually a small amount of wine that is spun down to a lower alcohol, usually to a level of about 4%. Typically, this small amount of wine is then blended back into a large lot based on precise blend trials that find a “sweet spot” with the spun wine and the untouched wine. Yes, part of the 2007 Healy was blended in this way. The main thing that makes the Healy so amazing is the vineyard. It is AMAZING soil combined with a perfect vintage. What sort of work do you do or oversee personally in your vineyards to ensure you’re provided with the best possible grapes? Are you involved or is the vineyard management separate? We have 70 estate Rutherford acres here at Sequoia Grove. Steve Allen, our viticulturist is amazing. He planted the original vineyards at Domaine Carneros and founded Sequoia Grove with his brother Jim, and has over 30 years experience in the vineyards. He was one of the first people in Napa Valley to pick chardonnay at night. When you have someone like that in the vineyard, you don’t march in as the winemaker and start giving orders. We have a great working relationship. His desk is directly across from mine and I try to soak up as much information from him as possible, rather than vice versa! Other than that, we work with some amazing growers here: Stageocach, Morisoli, Lamoreaux, Frediani, Healy. We have close working relationships with them in order to get the best grapes possible. In addition to Mike, what other winemakers from Napa do you respect or admire? Hmmmm, this is a hard question. I really admire my winemaking friends that have their small labels on the side, which are separate from their day jobs. What is your biggest challenge at Sequoia Grove at the moment? Is it cause for excitement or concern? Challenges are always cause for excitement! Producing the best wine possible brings lots of every day challenges. At Sequoia Grove, my biggest challenge is currently processing space. Our winery was originally built in 1985. Things get tight sometimes! Finally, when all your hard work is done, and you go home for the evening, what wines do you drink with your husband? The craft beer phenomenon is so cool and exciting, that lately I reach for beer! Amazing! 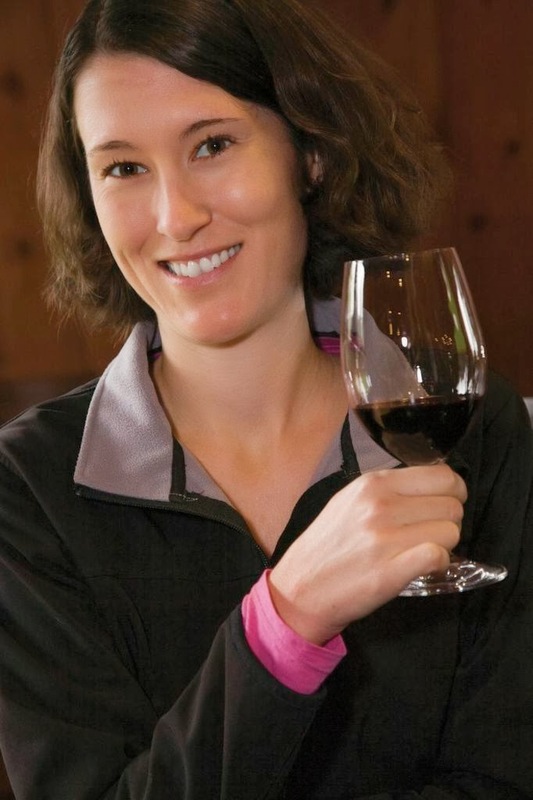 Molly, thanks again so much for taking the time to speak with me and I look forward to more great Cabernets from Sequoia Grove. 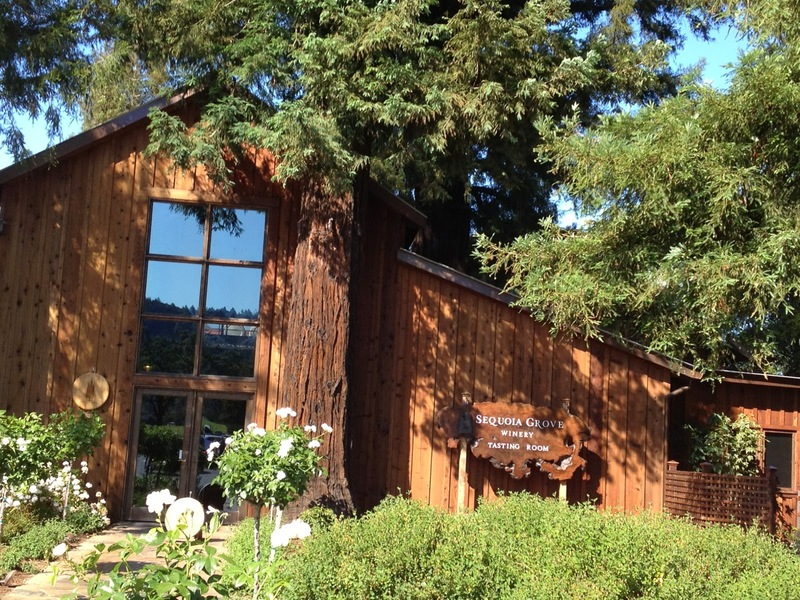 To find out more about Molly and Sequoia Grove, visit them online. Molly and John, thank you for this insightful dialog! If I were on my way to Napa, this would definitely be first on my list. As an advocate for NH wine lovers, I've been pleased to taste two vintages of Sequoia Grove Cabernet Sauvignon that my reviews express far greater appreciation for that balance that Molly constantly emphasized than many other reviewers; with a more current vintage waiting in the cellar, I'm encouraged to opening and sharing with you its expression of terroir. As for concerns, I'm wondering about two things: Grapevine Red Blotch-associated Virus, and ambient radioactivity. Were either of these mentioned? Are there whisperings? Whoa! Where did that closet scientist come from?? D, I'll try to get answers on these. Now you have me curious. "Thank you again, John, for the opportunity. Grapevine Red Blotch is currently being researched. We can add it to the list of phylloxera, pierce's disease, grapevine leaf roll, and many more things that a grape grower has to manage. For ambient radioactivity, I had no idea so I asked our viticulturist. Apparently, this was a concern in the 80s and all sorts of tests were done. Nothing was ever found." You got it my friend. This is why I say, it's great to support the good people. It matters.